Following endodontic treatment referral, a seventy-six-year-old male presented with pain to function for five days. Clinical and radiographic examination of the mandibular left second molar (#18) lead to a diagnosis of pulpal necrosis with acute apical periodontitis. 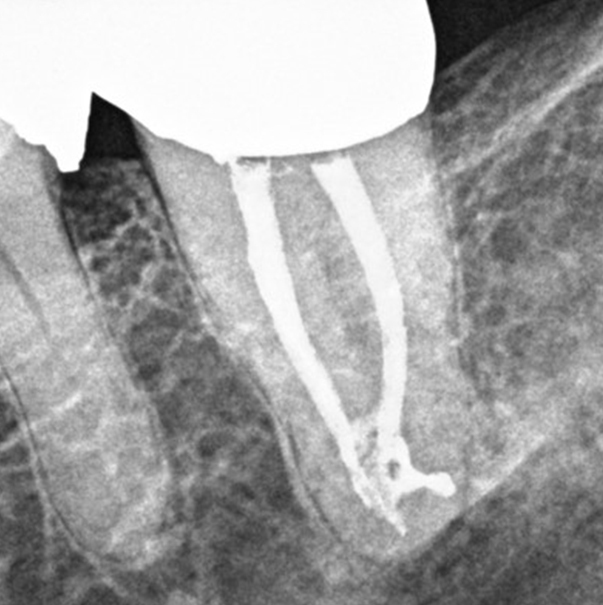 The patient was anesthetized and the tooth was isolated with a rubber dam. Instrumentation was accomplished utilizing rotary files for a final apical diameter of #15. 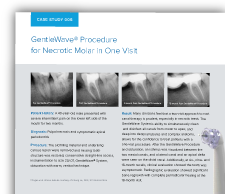 The GentleWave® Procedure was utilized after instrumentation to remove pulp tissue remnants, debris, smear layer and bacteria. 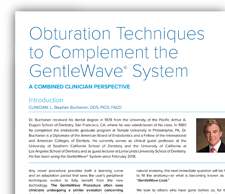 All root canals were obturated using a warm vertical condensation technique with gutta-percha and Roth Root Canal Cement sealer. 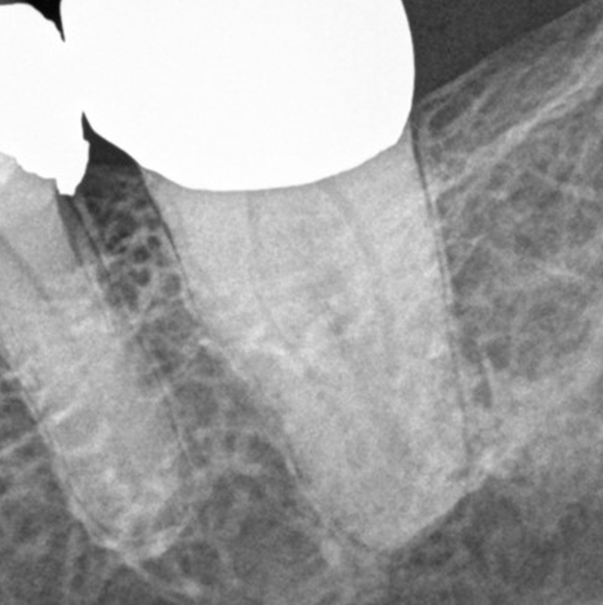 Two apical condensations were utilized during obturation. After obturation, a complex apical anatomy was visible between the mesial and distal canals. This anatomy was not known prior to the GentleWave Procedure and therefore additional shaping was not completed for preparation of these complexities.